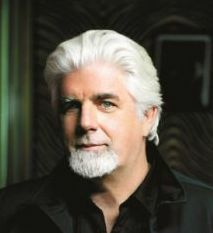 It’s easy to recognize the voice of Michael McDonald. Distinctive and soulful, it is one of the most yearningly emotive instruments of our time. To this add formidable songwriting and keyboard skills, and you have an artist who has been a singular musical presence for four decades. From 1970s-era Doobie Brothers classics such as “What A Fool Believes” to solo hits like “I Keep Forgettin’,” the five-time Grammy-winning McDonald is that rare thing in contemporary pop – an artist whose work is both timeless and ever-evolving. Born into a musical family in St. Louis in 1952, Michael started singing when he was four years old. After tinkering with banjo and guitar, he found his true passion at the piano. Soon he was writing his first songs and doing the time-honored apprenticeship with bands in the family garage. Determined to pursue music full-time, McDonald moved to L.A. in the early 70s, where he honed his skills as a session musician and singer.